Home/Knowledge Base/Domain Names/How to create a wildcard subdomain name? How to create a wildcard subdomain name? A wildcard subdomain name allows you to access a specific directory in your hosting account when people type in a non-existing subdomain name in a browser. 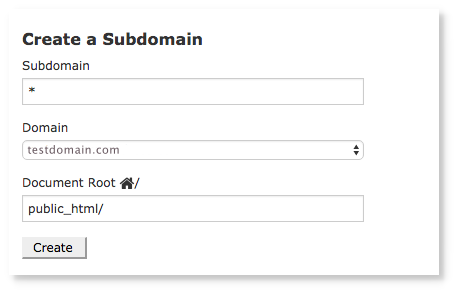 Follow the instructions below on how to create a wildcard subdomain name. Step 2. Click on Subdomains under Domains panel. Step 3. Type in * (asterisk symbol) in the Subdomain field. 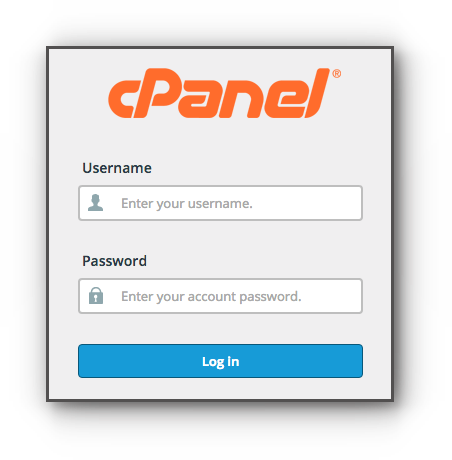 If you have more than one domain name in the hosting package, select what domain name you want to use. Step 4. Type in what directory you want to point the subdomain name to and click on Create button to save the changes.